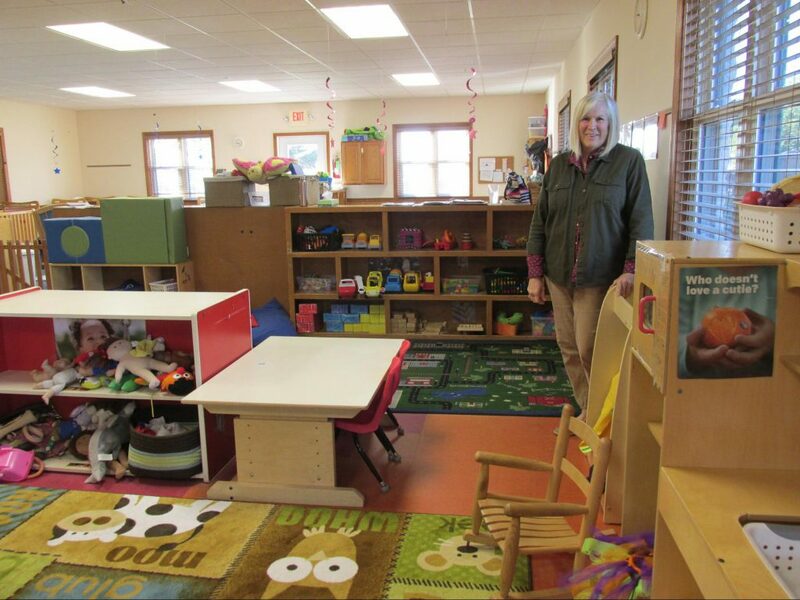 Jan Cain inside Care-o-sel, her preschool center in Virden, Illinois. This election cycle, both front-runners for governor are emphasizing their support for early childhood education. Democratic nominee J.B. Pritzker has said he’d make it a priority if elected, and that he’d implement universal preschool for all 3- and 4-year-olds. Incumbent Republican Gov. Bruce Rauner claims on his campaign site that he, “increased early childhood education funding by a record $200 million.” His wife, Diana Rauner, heads the Ounce of Prevention Fund, an early education advocacy organization that focuses on children in poverty. But what do those in the field have to say about the convergence of early childhood ed and politics? Do they trust either candidate will be a champion for the populations they serve? 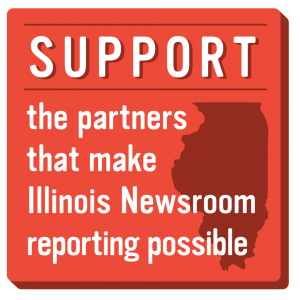 Illinois Newsroom spoke with two Illinois early childhood educators to hear their take. Candidates often advocate for early childhood education. Jan Cain calls it a “starving-horse issue” that’s easily identifiable, but she said political promises lack follow through. Cain has worked in childhood education for decades. She opened her own preschool in Virden, Illinois, in 1986. She was hopeful Rauner’s personal ties to early childhood education would mean more emphasis on funding. In Illinois, an average of about $13,000 is spent in state dollars per K-12 pupil. It’s mandated that all 6- to thru 17-year-olds be educated according to state standards. Meanwhile, despite a “Preschool for All” program initiated in 2006, less than 30 percent of 3- and 4-year-olds in Illinois are enrolled in state educational programs, according to 2016 figures from Rutgers’ National Institute for Early Childhood Education Research. As for the amount spent on the individual kids who are enrolled in preschool? In 2016, the average amount spent by the state on individual kids enrolled in pre-school was $3,374 — down 40 percent when compared to the 2002 figure of $4,734. That’s almost $10,000 less per student than what the state spends on primary and secondary education. Earlier this year, Cain was faced with the news that money for a long-term, highly-ranked program she has headed to serve at-risk children aged birth to 3-years-old would be slashed. “We really received quite a shock when we found that our program was no longer going to be funded this summer, and that our doors were going to have to be closed,” said Cain. Cain met with her local legislators, and in August she found out funds would be restored for programs across the state, including hers. Still, she says the past four years have been particularly difficult, especially during the state’s budget impasse. “I have had to re-mortgage my home to get money to keep paying my staff. We go sometimes six months to a year without receiving funding from the state that supports these programs. I’m proud to say, we have never gone without paying our staff,” said Cain. She did however lose staff in July as a result of her program temporarily losing funding, she said. And, they lost contact with some of the families they served. In the same period of time, Cain said she has seen hardship for the families. Many families lost their chance for public assistance in paying for early childhood care and education when requirements were made more strict, something Rauner has said was a result of the budget impasse. This year, Rauner is touting a $400 million increase to early childhood education and K-12 schools. He has said he plans to find additional funding by revamping the state’s Medicaid program and growing tax revenue through additional business recruitment. Meanwhile, Pritzker promises to push the state toward “universal preschool.” His plans for bringing in more money to the state include a progressive income tax, which would require a voter referendum and a change to the state constitution; a plan that would take years. He also points to legalizing sports betting and recreational marijuana as a way to bolster state coffers. Business is more or less back to usual for Cain’s preschool program, and she remains cautiously optimistic about the future. Catherine Main, who has spent over 25 years in the field of early childhood education, said the next governor needs to be willing to invest in something that takes time, maybe even decades, to see results. “And that takes a particularly courageous politician,” Main said. She’s a researcher and practitioner with the Department of Educational Psychology at the University of Illinois at Chicago, and before that was a preschool teacher for Chicago Public Schools. Main points out studies that have shown pre-kindergarten education increases high school graduation rates, lowers enrollment in special education courses and leads to better reading scores. “Some of the other longitudinal studies have reached out even further and found better health benefits for people. And these are all kinds of societal, academic and economic features that show that investment in early childhood [lead to] savings down the road,” Main said. Both Cain and Main agree that the benefits of early childhood education are indisputable, but the amount of funding still doesn’t align with the resources needed. Being clear about the costs of high-quality, early education is essential as well, said Main. “The system that we have is literally on the backs of parents who are struggling to pay for childcare, and on the backs of the childcare workers who are living in poverty and taking care of children who live in poverty,” Main said. Main, who served as an advisor on Rauner’s Children’s Cabinet, won’t be publicly endorsing him or any other candidate for governor in 2018. But she hopes whoever is elected, they make a shift toward better valuing those in her profession. Preschool teachers deserve credit for the complex care and education they provide, said Main. And too often, she said, they go underappreciated. “You look at little children, you think they’re cute, and all you have to do is feed them and change them,” she said. Outside of the money issue — Main said there is another area she thinks needs urgent attention: fragmentation within the field. “There seems to be this divide still between what’s early childhood education and what’s childhood care. And so there are multiple funding streams. And as much as the state has built systems to try to combine those kinds of things and connect the funding together, they still are very separate. And it creates a really bifurcated system. And that’s not good for anyone.” Main said she hopes in the future, childcare and education will be seen more holistically, as one and the same.